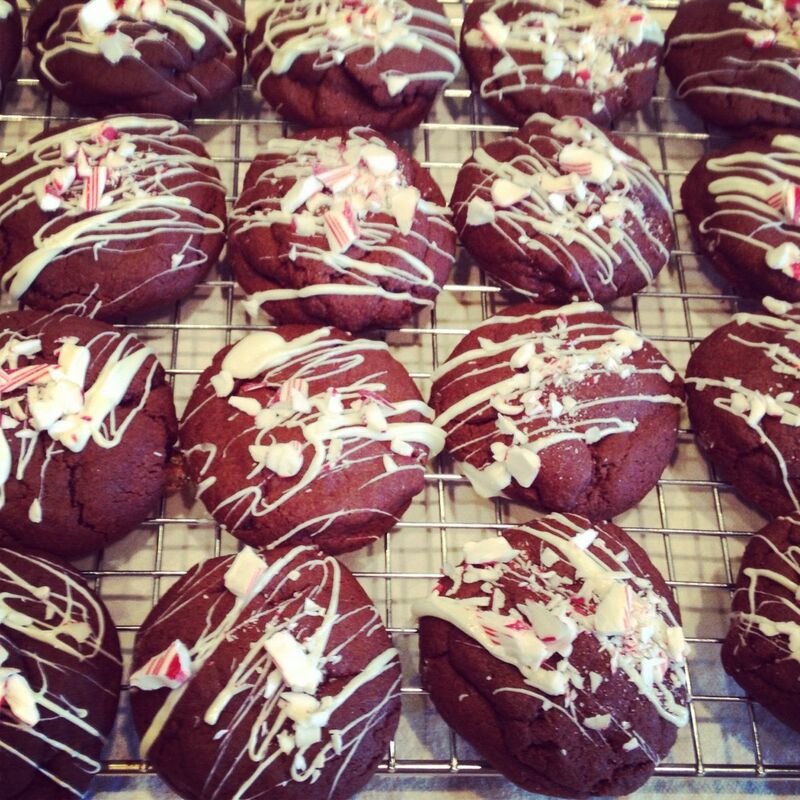 Day 6 of LJB Cookie Week… Robert’s Chocolate Cookies! This recipe cracks me up every time I make it, because I don’t know who Robert is! I was given this recipe by one of my Mom’s best friends, Karen, who is a fabulous cook and an excellent cookie maker. 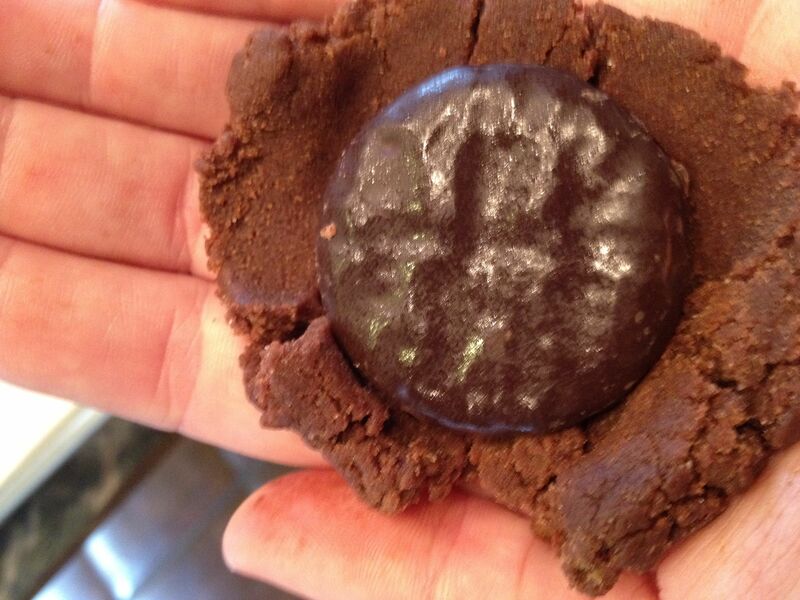 The title was “Robert’s Chocolate Cookies” and remains that to this day. 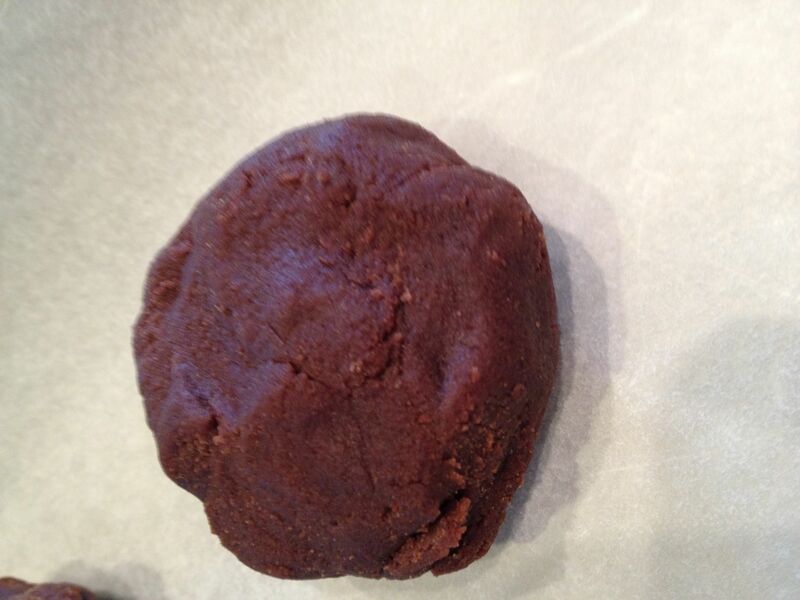 Even though I probably could rename it to something like “Chocolate Decadence Cookies” or “Devine Chocolate Cookies”, I just can’t… like I said, because it continues to rouse a chuckle when I pull out the recipe. 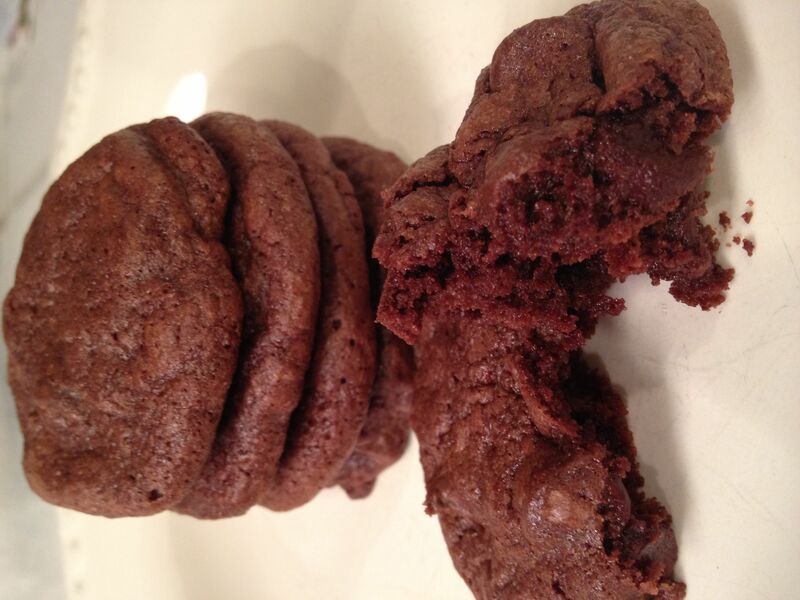 So, thank you Robert, whoever you are… from one chocolaholic to another… thank you for this delicious recipe!!!! Place unsweetened chocolate and butter in microwave safe bowl and melt together and 30 second intervals, stirring at each interval until melted. Set aside. In small bowl combine flour, baking powder and salt. Drop level tablespoons (I use a small cookie scoop) onto a cookie sheet lined with parchment paper. 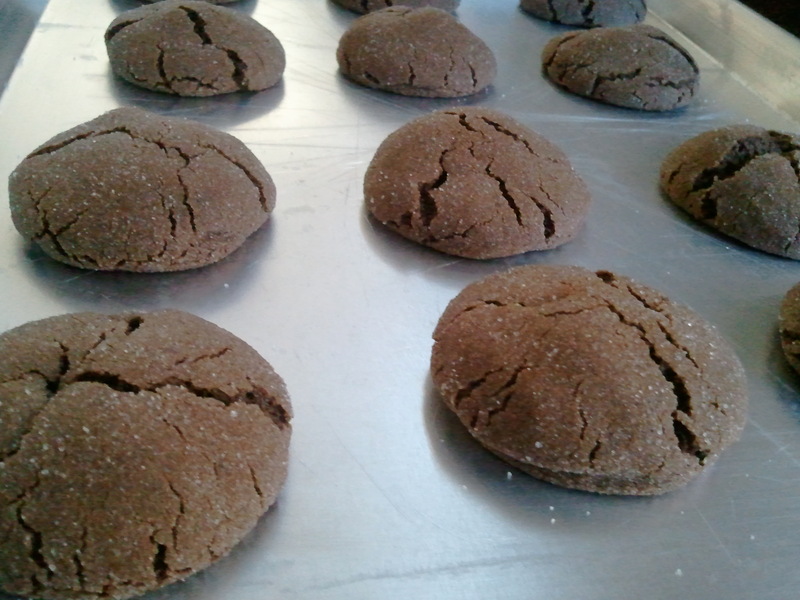 Bake for 8-12 minutes, until cookies are puffed, dry and cracked on the surface, but soft and gooey within. We are excited to kick off our Holiday Cookie Week with this fabulous, scrumptious cookie. We’ve never met a person who didn’t go wild over these tasty little gems! 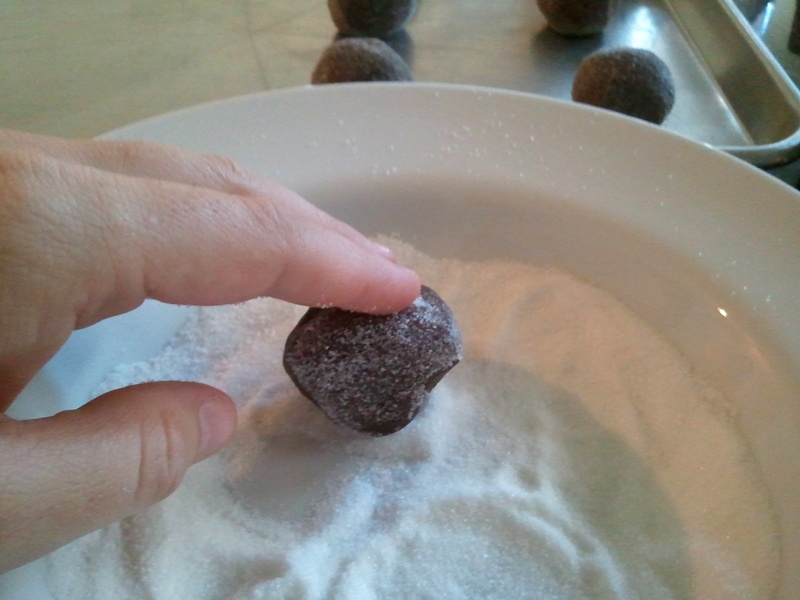 Using an electric mixer, mix the flour cocoa powder, both sugars, salt and baking soda on low speed. Add the butter and egg and mix to combine. Turn out the dough onto plastic wrap, wrap tight and put in the refrigerator to chill about an hour. 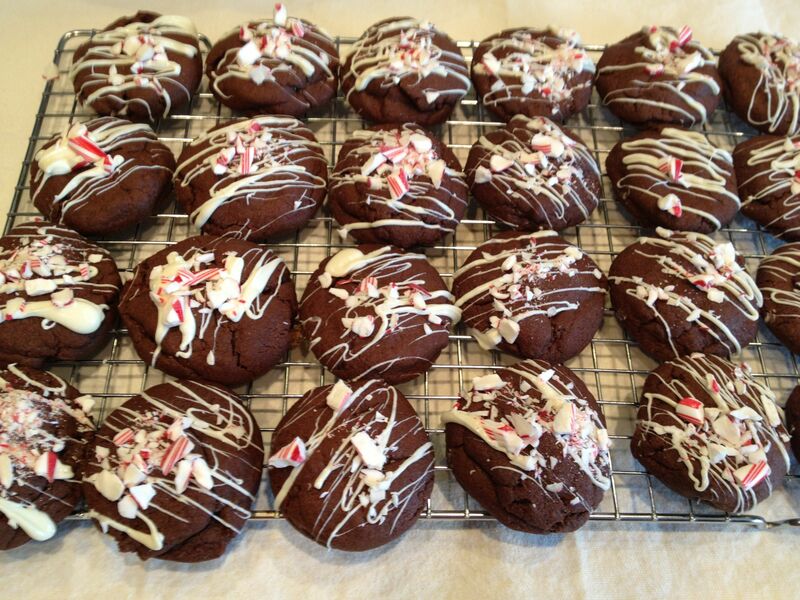 Working with 1 Tablespoon of dough at a time, evenly encase each peppermint patty with dough. Place on jelly roll pan lined with parchment paper. Bake for 15 minutes. Remove from oven and place on wire rack to cool. As cookies are baking, melt white chocolate in the microwave in a small bowl for 30 seconds at a time, stirring after each interval, until melted. Using a spoon drizzle the white chocolate over each cookie and immediately top with crushed candy cane. *** Tip… place a piece of parchment paper under the wire cooling rack when drizzling the chocolate for easy clean up! Can you stand it? Another cookie! But let’s face it, we are baking a lot around the holidays and this cookie is always a winner. 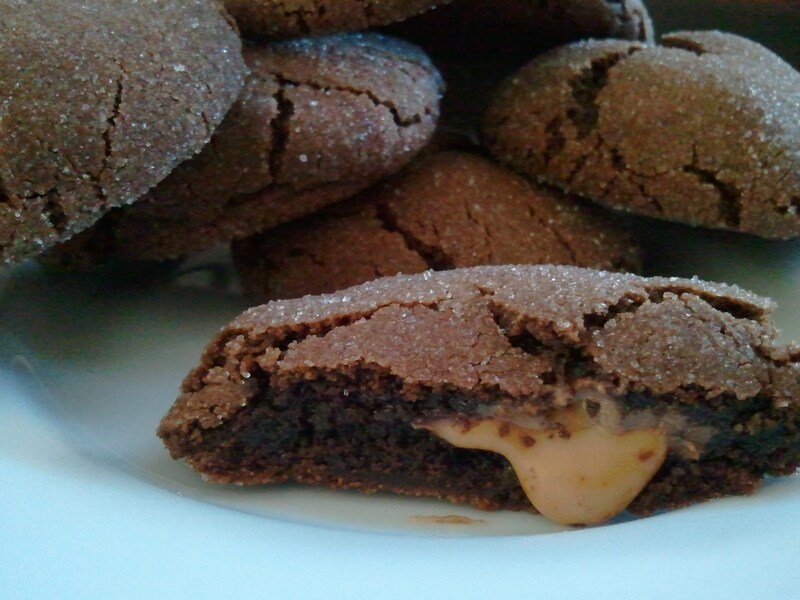 I like to call it the “Chocolate Magical Caramel Surprise Cookie,” because inevitably when I make these I always get the question, “how did you get the caramel inside the cookie?” But hopefully the name Rolo Cookie is self explanatory. So go ahead and make these and then you can tell people how magical you are! 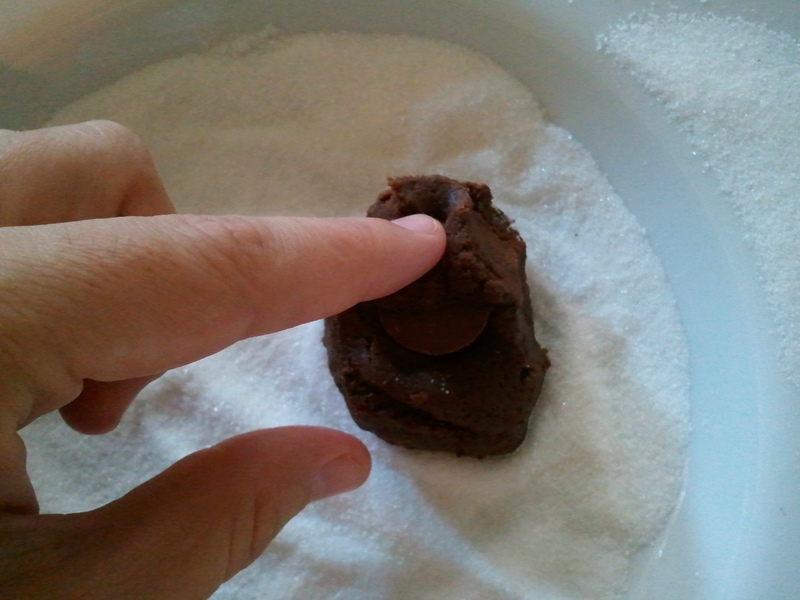 In a small mixing bowl combine flour, cocoa, and baking soda. Set aside. In a stand up mixer cream butter and both sugars until well blended. Add the eggs and vanilla. Mix until eggs are fully incorporated. Add dry ingredients and mix well. Shape the dough into small balls. 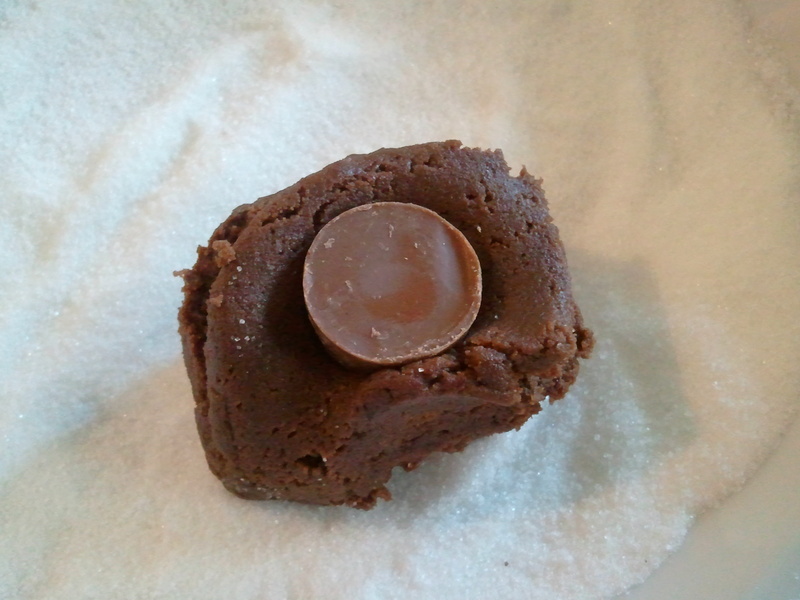 Then press the Rolo into the center of the ball and cover with dough until Rolo is covered. Place 4 Tablespoons of sugar in a shallow bowl. 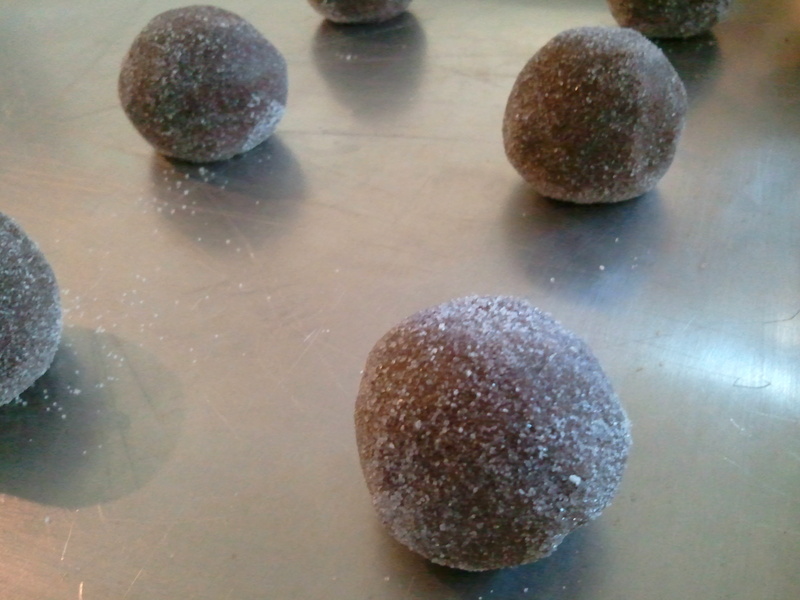 Roll dough around in the sugar until coated. Place ball on a cookie sheet and cook for 12-14 minutes. Yields about 2 1/2 dozen.